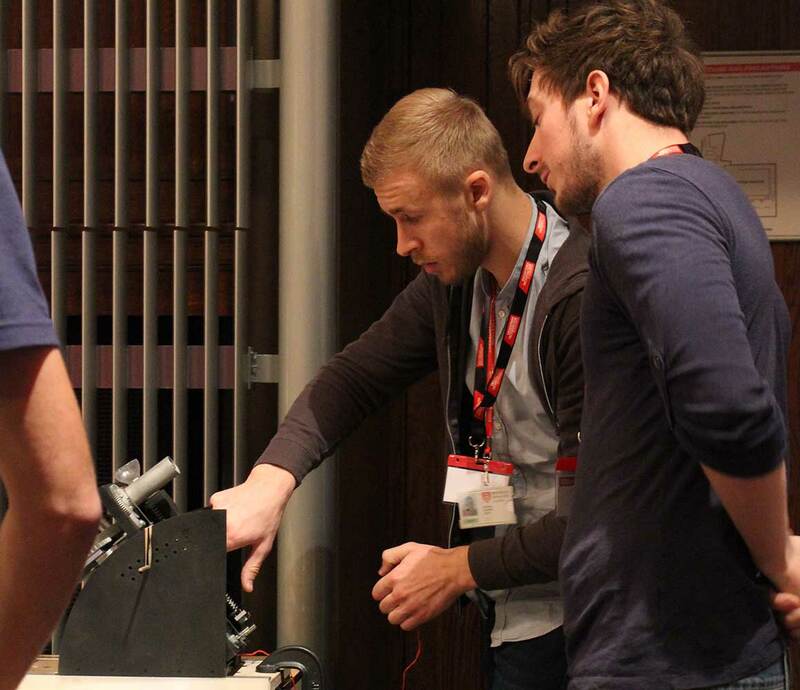 Mantas Zadeika, Tommy Arno and Thomas Maund, all students on the BEng Mechatronics degree at Middlesex University, have been declared winners of IMechE’s third National Design Challenge. The team from Middlesex reached the national final after winning the Greater London regional heat in April. Teams were required to build a device for firing a rope from one ship to another at sea, known as a Line Launcher, but on a smaller scale for indoor use. A miniature firing range was set up at IMechE’s headquarters to test the accuracy of each entry. Mantas, Tommy and Thomas rose to the challenge and their device comfortably beat launchers from the five other universities who made it to the final. Tommy says he and his teammates are proud they were able to win the competition at the national level. 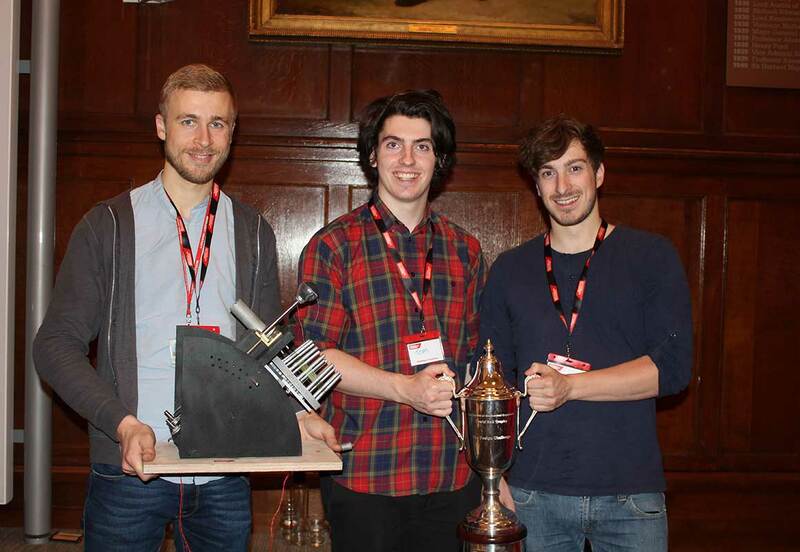 “It feels great to have won the IMechE competition. Having spent many hours working on our launcher, it's nice that all our hard work has paid off and we have come away with a win. Dr Aleksandar Zivanovic, Technical Tutor for BEng and MEng Mechatronics degrees, says that all students on design engineering courses at Middlesex are encouraged to enter the IMechE Design Challenge as part of their course. The challenge gives the students an ideal opportunity to put what they’re learning into practice. “The competition required our students to follow the complete design engineering process, from conception through design and implementation to operation. They worked really hard as a team to develop their device and were successful on the day,” says Dr Zivanovic. Find out more about design engineering courses at Middlesex.